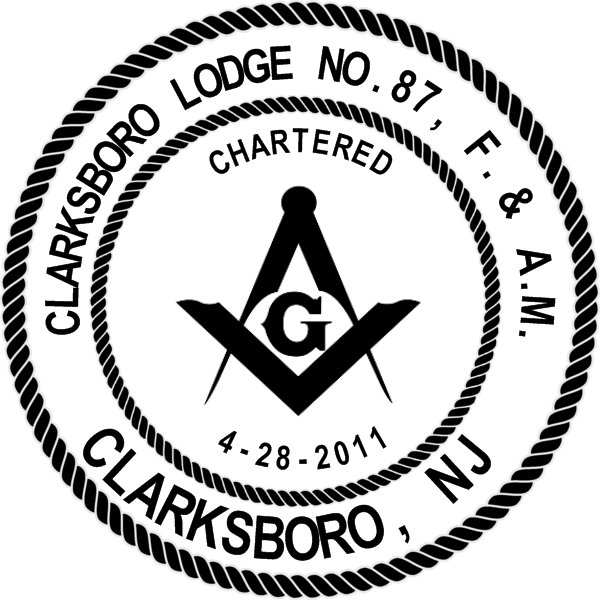 Welcome brethren, friends, and guests of Clarksboro Lodge #87. Thank you for visiting our new website and thank you for your interest in Clarksboro Lodge. We meet the first Monday of each month, except July and August and legal holidays. If you are interested in joining you can visit here for more information. Freemasonry is the oldest surviving fraternal order in the world, and is a place for men of conscience to come together to become better men, husbands, fathers, friends, brothers, colleagues, and citizens. We have friends who are useful to us, who lend things to us, and who do things for us that we cannot do well for ourselves. We will strive to practice the type of brotherhood and friendship that is reflective of Aristotle's third kind of friendship. The more we strive, the better our fraternity will be.